Erica Bunker | DIY Style! The Art of Cultivating a Stylish Wardrobe: I've got the bug! Sewing bug that is! I think I've got another nasty kinda bug too, that's why I haven't posted in a few days. I haven't done much knitting either (I know... I felt that bad!). I don't think it's a cold, it's probably just severe allergies. It seems that the older I get, the worse off I feel in the spring. I hope I don't get to the point where I have to get weekly shots from an allergist... I have a friend that has to get her weekly "flea bath" as I call it. Since the OTC meds that I bought made me feel a little better, I ventured out to the fabric store and came back with a bag of goodies! Aren't the healing effects from shopping amazing? 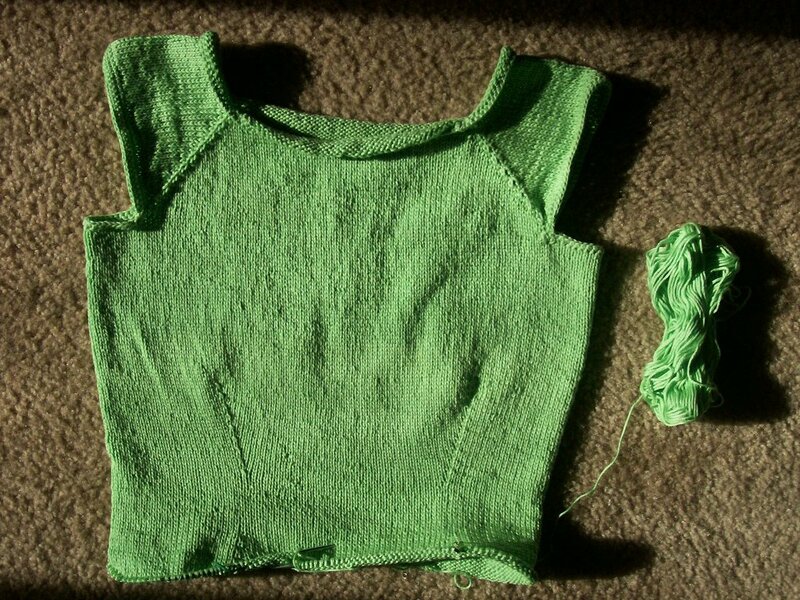 I am so close to finishing this top, I can taste it! My goal is to work on this diligently through the rest of the evening while watching the season finale of Desperate Housewives, The Sopranos, Big Love and Huff, and on tomorrow I should be finished. 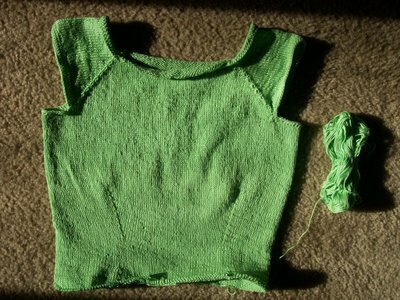 While, Tivoli is blocking, I'm going to take one of the green fabrics and make a matching skirt. 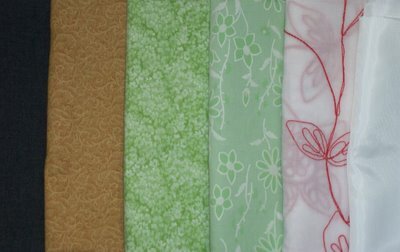 I should have a couple of FO's by Wednesday if all goes well!